Keeps your baby's feeding bottle warmer for longer periods with the special thermally insulated compartment in the well-designed Little's Bottle warmer. Travelling with your baby means carrying around a lot of food items. 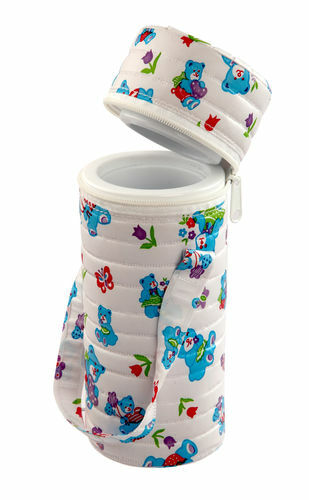 Little's Bottle warmer is just what parents need to keep the milk warm for long periods of time. The thermally insulated compartment keeps the bottle warm for long hours. It is made of high quality durable material which is water resistant & easy to clean. It fits all feeding bottles of standard neck size, though it does not fit wide neck feeding bottle. Special thermally insulated compartment to keep bottles warm. Water resistant and easy to wash.
Additional Information: Founded in 1980?s by Voltas, Little's has garnered great trust amongst Indian Parents over the last three decades. Today Little's has wide range of baby products and accessories for every life stage of a child from 0 to 4 years of age, keeping both parents and baby happy, cheerful and comfortable. The extensive range of products includes Feeding Bottles, Grooming and skincare products, travel gear, bath time products, toys, gifts and much more. All Little's product are safe and made from best quality material.